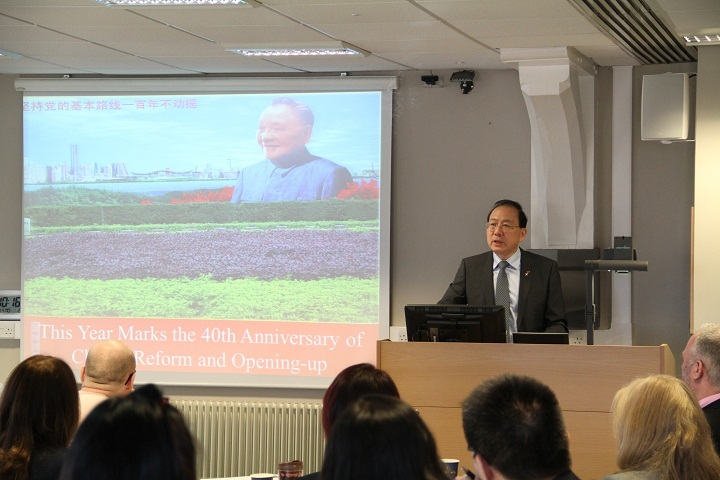 In his speech Consul General Pan said that this year marks the 40th anniversary of China's reform and opening-up. Over the last four decades, China has pursued development with open doors and embarked on a fast track of ongoing development with well-known success. While developing itself, China has lived up to its responsibility as a major country. Acting on the vision of a community of shared future for mankind, China offers the Belt and Road Initiative (BRI) and many other public products to the world. While China-UK relationship now maintains the good momentum of the Golden Era, the friendship between China and Scotland has been deepened, with the collaboration in areas of trade and investment, education and technology, and people-to-people exchanges reaching a new level. The 19th National Congress of the Communist Party of China (CPC) laid out an all-encompassing blueprint for the country in its undertakings, in which China's door of opening-up will only open even wider and its development environment will become even better, so that the relations between China and Scotland will embrace a brighter future. 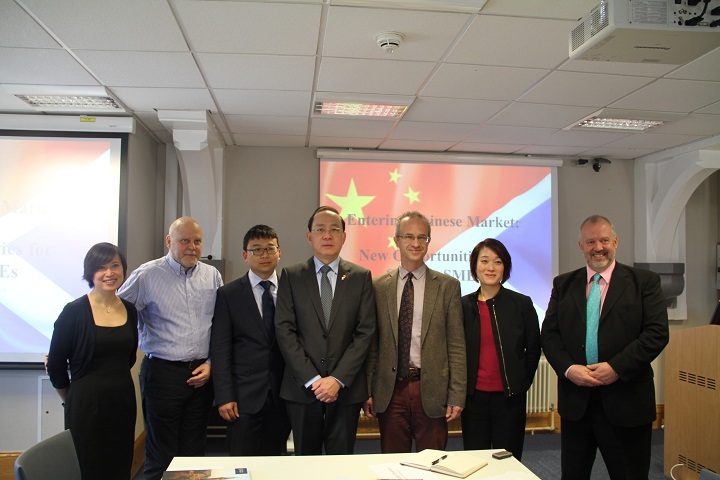 Scottish SMEs should be more enterprising to seize opportunities and enter Chinese market to achieve win-win cooperation. Representatives from Scottish enterprises in China and Scholars at Adam Smith Business School shared their knowledge of VC circumstance in China. Mr. Gordon Mcgregor, Manage Director of Sport Sensor Technologies illustrated the advantages for SME business working in Shenzhen and his successful cooperation with local partners. Dr. Yee Kwan Tang, lecturer of the School took her hometown Hongkong as an example, analyzing business environment in China from the perspective of economic, social and cultural factors, saying while comprehensively deepening the reform and facilitating the shift of economic growth, Chinese government implements new measures and the consumption approach of Chinese people has also changed. In general, business environment in China shows great promise for the future making China an ideal destination for Scottish SMEs. Before his speech, Consul General Pan invited the audience to rise and observe a minute's silence for the Chinese student who died in a car accident days ago. After the speech, Consul General took questions from the audience concerning Chinese development, Brexit, investment environment in China and employment of Chinese students in Scotland.